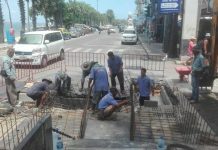 Pattaya city officials considering removing half of the Beach Road promenaded for an additional traffic lane ought to have a look at the entrance to Soi 13/3. 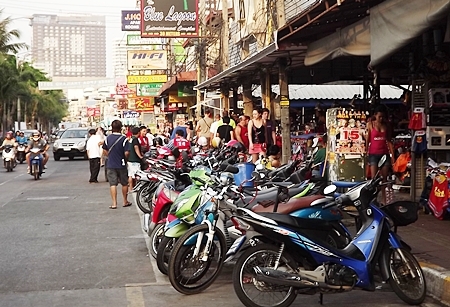 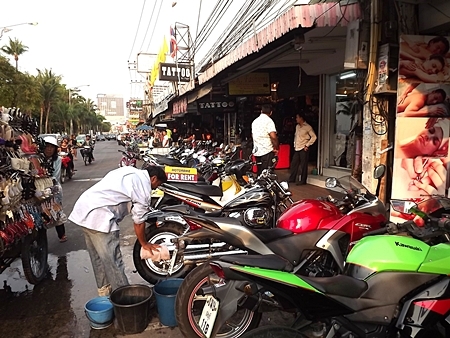 On March 6, more than 100 motorbikes, cars, food vendors and other squatters were taking up part of the roadway. 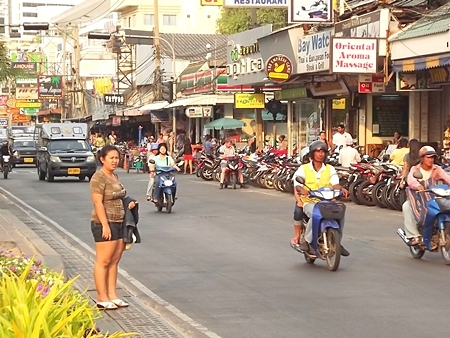 Even on the Pattayaland side street, traffic was backed up with no city regulatory officers in sight. 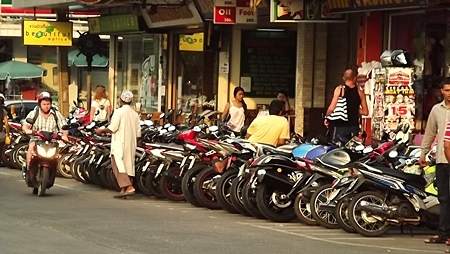 Instead of ripping out trees and walkways for traffic, much of the congestion could be relieved simply by banning illegal parking and enforcing city laws on street selling.